Twelve rhombic triacontahedra are placed at the vertices of an icosahedron. 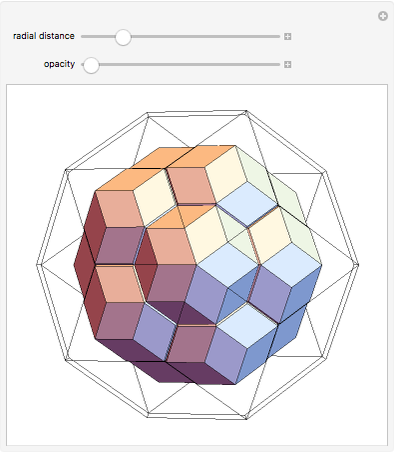 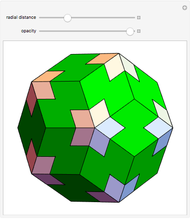 When the triacontahedra are connected face to face they fit into a rhombic triacontahedron which is larger by the square of the golden ratio. 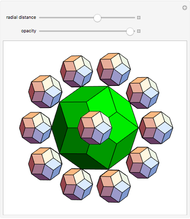 This assembly may be the first stage of a possible fractal structure, as 12 of the large enveloping triacontahedra (with 12 small triacontahedra inside) can be arranged in the same way, and so on. Sándor Kabai "12 Rhombic Triacontahedra"